The review will be conducted by two international experts and will focus on the capacity of the centre to deliver high standards of care. 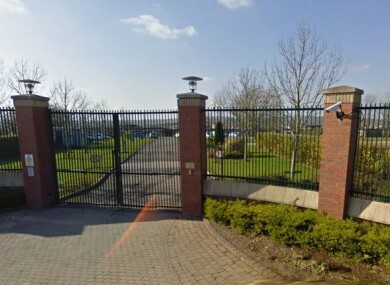 A REVIEW OF the Oberstown Children Detention Campus will take place following a series of high-profile incidents, the Department of Children and Youth Affairs has announced today. The review will be conducted by two international experts and will focus on the capacity of the centre to deliver high standards of care for young people detained there. It comes after a series of high-profile incidents at the Oberstown campus over recent months, which have raised people’s concerns regarding the facility. The High Court heard on Tuesday that two boys had been kept in solitary confinement there since a roof-top demonstration at the correctional facility almost two weeks ago. There have also been strikes by staff recently which coincided with unrest at the campus, including a fire and violence breaking out. As well as this, there have been a number of escapes by people resident at the centre. Children and Youth Affairs Minister Katherine Zappone said in the past that the detention centre is “fit for purpose” following the incidents breaking out. “A number of serious incidents and industrial action by staff at the Campus have highlighted the need to reflect on the progress achieved and to identify and address any obstacles to the necessary future reforms. I believe this review is timely and I look forward to receiving the findings so as we can ensure that we can ensure the safety of all at Oberstown and at the same time end Ireland’s abysmal record of placing children in adult prisons. Deirdre Malone, executive director of the Irish Penal Reform Trust, told RTÉ’s Morning Ireland that reports in the past had identified a “major safety issue” at the detention centre. The said the vision for Oberstown when it was established was of a place that would provide “care, education and welfare”. That was the intention behind the facility – it’s not a prison, it’s a child detentions school. Speaking about the recent industrial action at the centre, Malone said it was “not acceptable in any way” that young people were locked in their rooms for up to 19 hours while the strike took place. She said she hoped there would be no delay with this review and that it was “crucial all parties have confidence in the review process”. Email “Operations to be reviewed at Oberstown Detention facility”. Feedback on “Operations to be reviewed at Oberstown Detention facility”.